Stanford swimmers have won victories repeatedly in open competitions. We won over 1,000 prizes in 2017-2018, it was remarkable! Everyone was proud of being a Stanford swimmer. 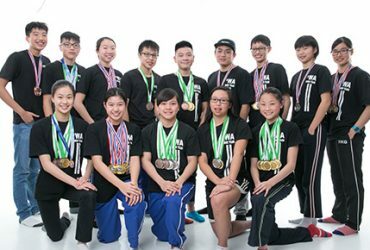 Hong Kong Swimming Team has recruited a number of Stanford’s very-owned Winner swimming team members to represent Hong Kong in the open competitions all over the world and swam for victories of Hong Kong! 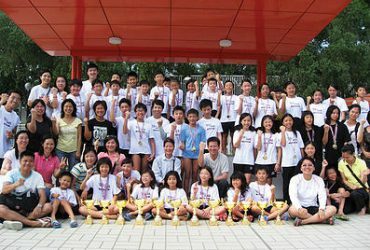 * Stanford’s owned swimming team “Winner Athletic Association” is an affiliated club of HKASA (Hong Kong Amateur Swimming Association). Stanford’s Winner Athletic Association has nurtured many swimming stars along the years. Our member Ng Cheuk Yin has broken several junior record and age group records. 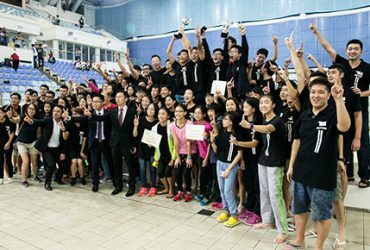 Stanford’s Winner Team, is the CHAMPION of “Hong Kong Age Group Short Course Swimming Championships 2014-2015” – we are proud of the outstanding results and remarkable performances in Hong Kong swimming competitions. Stanford has developed the school teams for a number of top local schools, which keep on delivering notable results in the inter-school competitions and brought honor and esteem for their schools!